Really fishy goings-on in the Bihar capital ! Fish lovers will have to go without for at least 15 days. 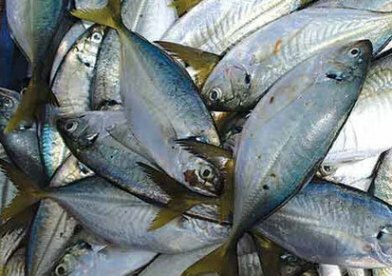 The state government on Monday (14 Jan) has stopped fish import from Bengal and Andhra Pradesh with immediate effect. The reason: formalin contamination! Fish sellers however, smell a rat. They say it’s a conspiracy by local fish farms to jack up the prices of locally produced fish. “We have decided to ban the sale, transportation and storage of fish under Patna Municipal Corporation limits after 10 samples sent to Central Food Laboratory (CFL), Calcutta, showed the presence of formalin and heavy metals such as lead, cadmium and mercury in more than permissible limits for human consumption. Such fish are dangerous for public health. The ban will be in force for the next 15 days and could be extended, if need arises,” principal secretary, health department, and food safety commissioner Sanjay Kumar said. The government has warned that anybody found guilty of violating the ban could be punished with imprisonment for up to seven years and a fine of up to Rs 10 lakh under the provisions of the Food Safety and Standards Act, 2006. The fish that were tested included bekti and jasar varieties from Bengal, katla, jasar, and rohu from Andhra Pradesh and locally farmed boari and rohu. According to food safety standards, the maximum tolerance limit for lead and cadmium is 0.3ppm (parts per million), while for mercury it is 0.5ppm. The samples that were tested contained these heavy metals way beyond their permissible limits. Formalin, lead, cadmium and mercury cause ailments such as cancer, pneumonia, kidney disorders, lungs and breathing troubles, blood disorders, mental retardation, and nervous diseases. The government has now asked district food safety officers to collect samples of fish from towns and cities across the state. These would then be sent to the CFL for tests. The Bengal and Andhra Pradesh governments would also be informed.